Sahib and the Crew Save the World: An Apology: Video of the Year! You Must Watch! Thank you so much to our friend Kenny Solomon at IsraelSurvialUpdates.wordpress.com for bringing this fantastic video to our attention! Please have your friends and followers check this video out. The pic below is NOT a fake or put up. 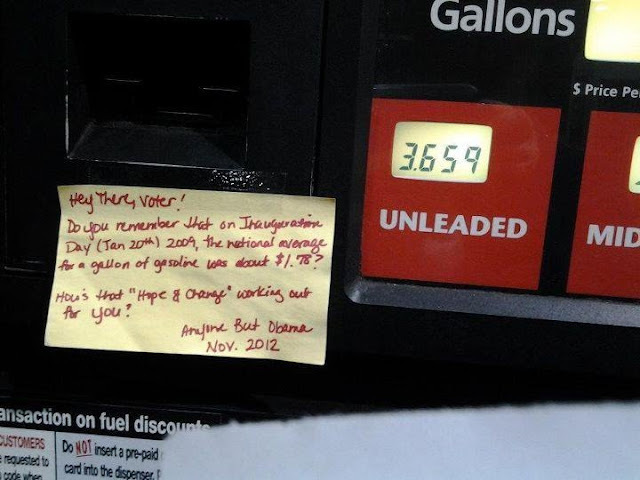 A friend of Mrs. Sahib was filling up this evening and saw this note taped to the gas pump. We encourage everyone to make similar notes and leave them as educational material for the uninformed. Kira did a fantastic job on the video.